I have been an active member of the Society for Creative Anachronism since 1982, in that time I have made much clothing and other items and generally tried my hand at many types of Arts and Sciences. I have been active in the SCA equestrian community for 20 years, in both CAID and AnTir. 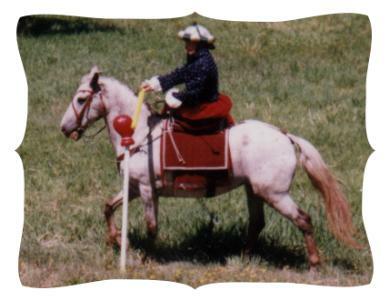 During this time I have designed and built a variety of tack, saddles, and both full coverage and open decorative trappings. I have written various how-to articles, some of which I am proud to bring to this venue. and other middle and lower class men Medieval Boffers?